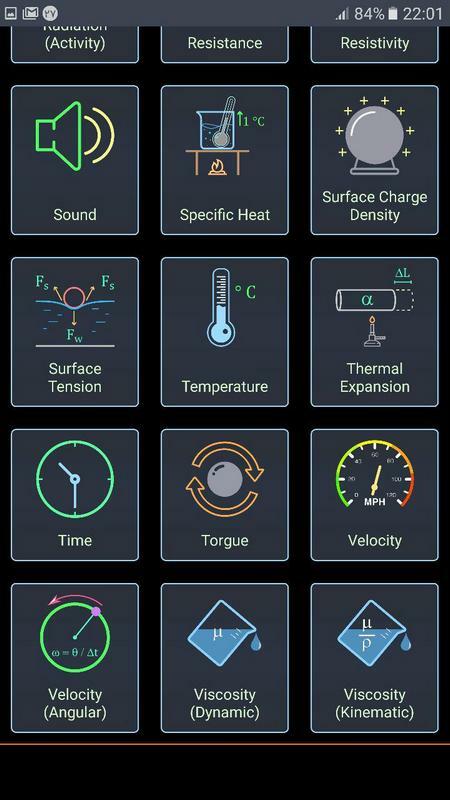 Some unit converter apps on markets are difficult to use, because of complicated UI, and user has to click more to reach his goal. 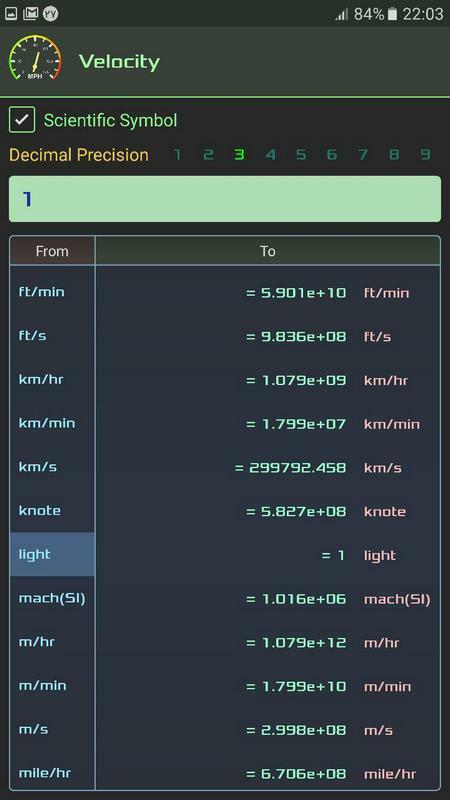 This app prepares a simple UI, so that you can see converted values to other units simultaneously without any extra clicks. so just select the source unit, and enter the value. 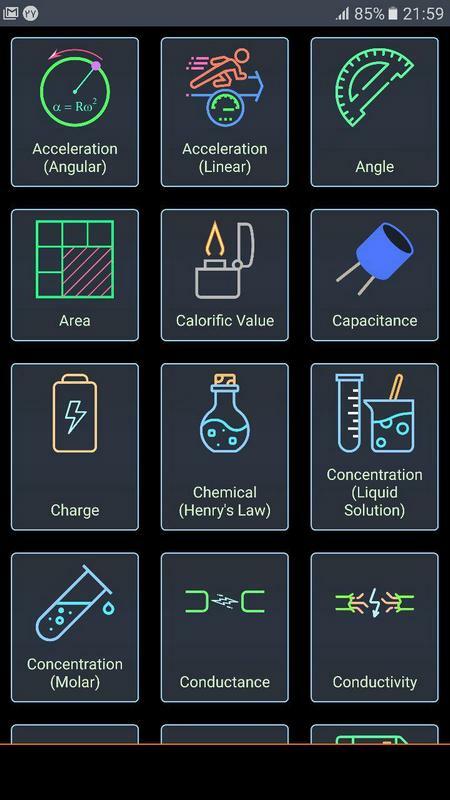 Features of Easy Converter: ★ 1256 unit conversions in 58 unit categories. ★ 153 world currencies. 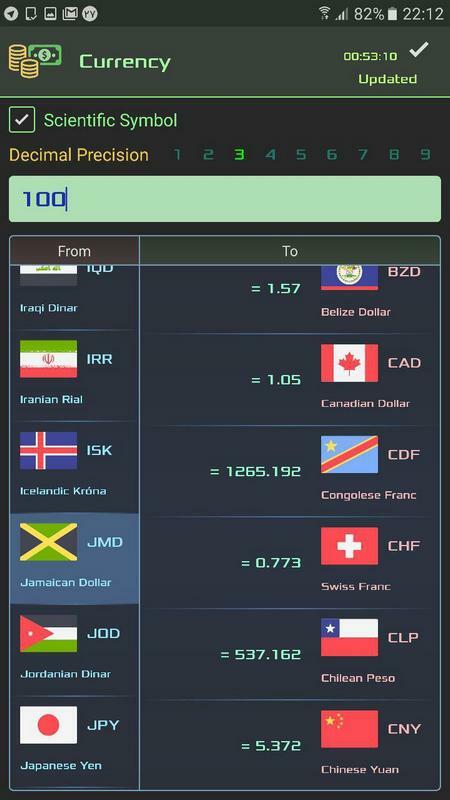 ★ Real time currency converter with latest exchange rates. 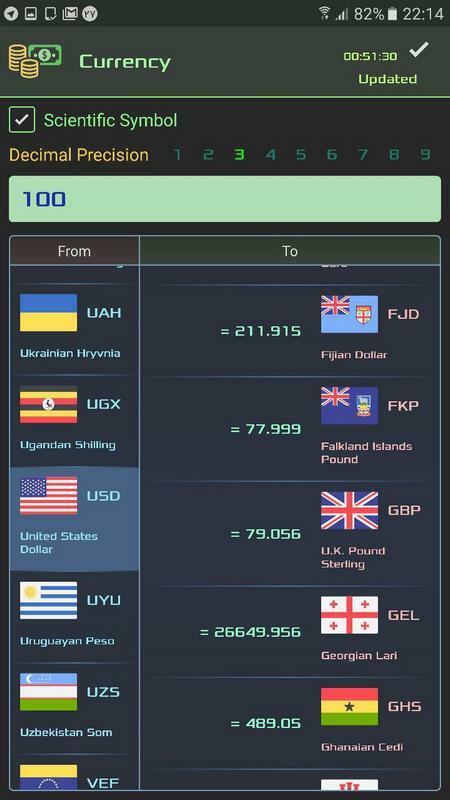 ★ offline currency converter that can convert all 153 world currencies even without internet connection. 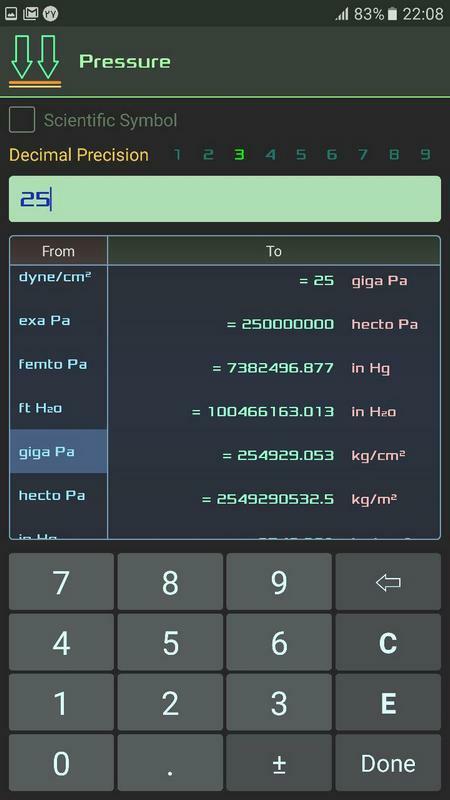 ★ intelligent keyboard for working with decimal numbers, to show best and shortest input numbers ★ scientific symbol option for showing results ★ decimal precision option for showing results Note : "android.permission.INTERNET" permission is for receiving latest exchange rates from server. Download and use it now.